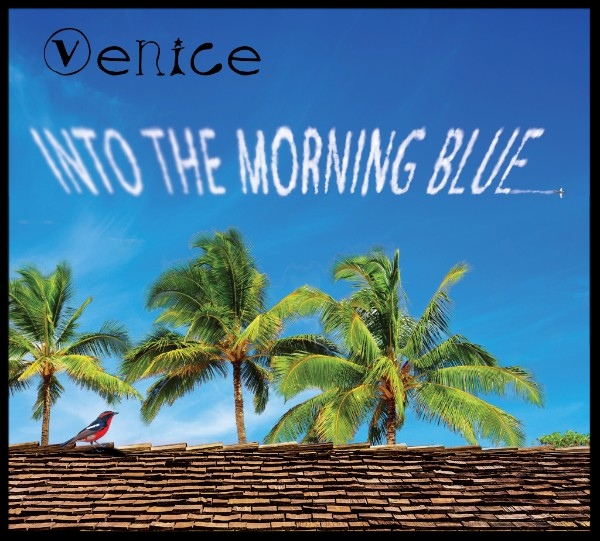 We’re pleased to announce the release of our new Venice album, “Into the Morning Blue.” The CD will come out in Holland on April 14, and can be purchased at every show on our European Spring Tour. American fans will be able to buy physical copies starting in May. But If you'd like to pre-order it in the U.S., click the green box link, below. We’re really proud of this new collection of Venice originals. Some of the songs were originally conceived when we were writing the "Lucky 7” album, but most of them are brand new ideas that the four of us developed on a recent writing trip to Palm Springs. 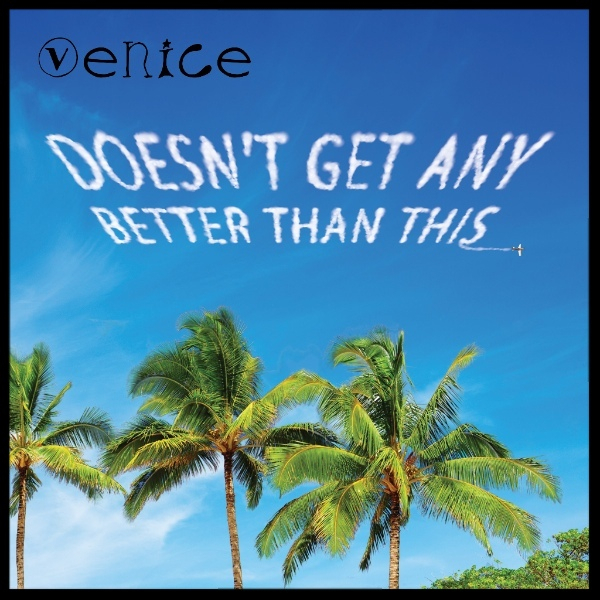 The first single, “Doesn’t Get Any Better Than This,” is available NOW, worldwide on iTunes, Spotify, CD Baby & more! Please note the blue box links, below. So check it out and write us a review! We are also thrilled to announce we are returning to France, Germany & Denmark in April, before finishing our Euro Spring Tour 2017 in our home away from home, the Netherlands. 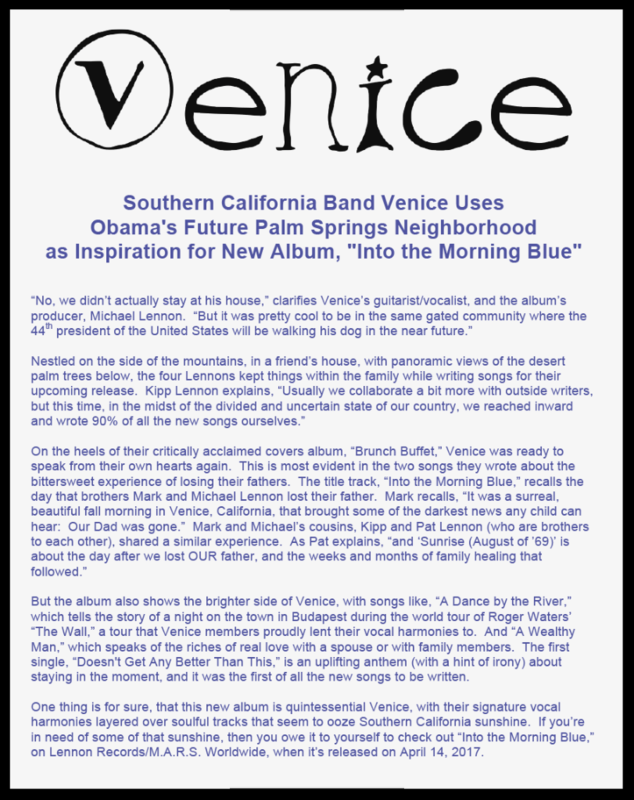 Please check www.venicetheband.com for more info.....or just click the orange box links, below, for all upcoming tour dates. As always, we appreciate your support and we'll never forget that we are here because of YOU! You can get the NEW SINGLE...RIGHT NOW! "Doesn't Get Any Better Than This"
We really look forward to seeing you at one of the upcoming shows!